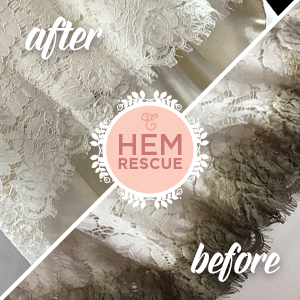 All wedding dress cleaning requires expert care wedding dress hems always take the hardest beating. Here are some of our success stories rescuing hems! Some special wedding dresses experience heavy wine staining at the more “fun” events. 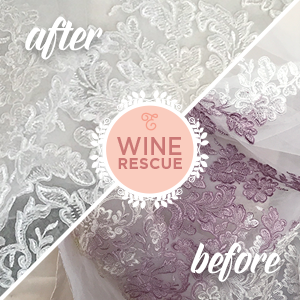 We love assisting our brides with wine stain rescues! Here are some examples. 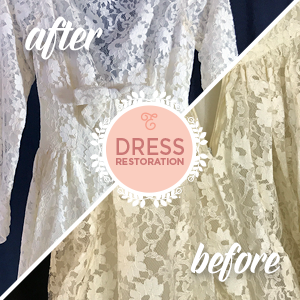 Wedding dresses are often family keepsakes and many of our brides want to wear a special family heirloom. Here are some examples of our restoration projects.